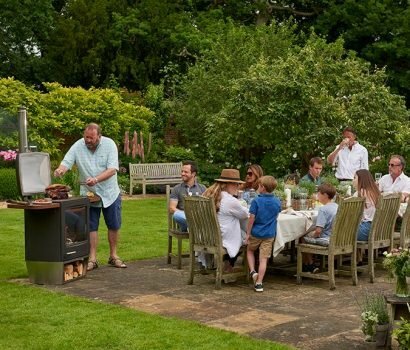 With so many people spending more time and money transforming their gardens to become an extension of the home, the only thing holding them back from enjoying their new space is the unreliability of the British weather. Not anymore. Get more from your garden, all year round. Cook, eat and relax outside, whenever you want. Chesneys has a reputation for excellence in interior design. But we have always had an eye on the way our customers’ lives are changing. 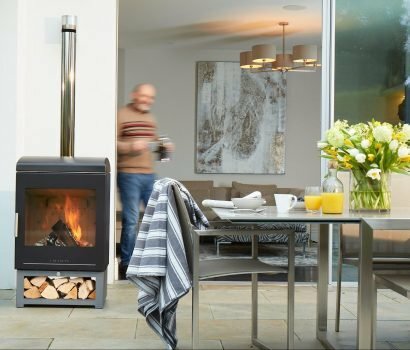 We saw an increasing desire to make the outdoors part of their lives, So we set our sights on creating the first outdoor wood burning stove but which could also work as a barbecue; the first dual-function appliance of its type. 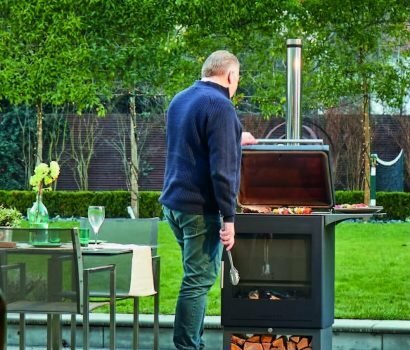 Chesneys have a selection of accessories for the Outdoor Living Range.